I was staggeringly late to the Darwyn Cooke party. The first comic I read of his was 2006’s Batman/The Spirit, and it was a comic I picked up on a whim, not because I had any idea who made it. My excuse for not knowing of him was simple: I was new to comics at that point, or so it felt. By the time Cooke was breaking into comics in 2000 with Batman: Ego, I was beginning an extended leave of absence from being a comic fan. Other things – girls, social life, the end of high school, the beginning of college, etc. – took up the time once dedicated to comics, and it stayed that way for three or so years before Brian K. Vaughan and Pia Guerra’s Y the Last Man dragged me back in. I had returned, but even then, I was facing a question I hadn’t needed to ask in a long time: where does a person start when there are so many entrances to choose from? For many, the comic shop is where you find those entrances that were just mentioned. While some at the time would turn to shop clerks, Wizard Magazine or maybe even the internet for help in figuring out their path, my guide was something simpler and more feel oriented: comic covers. These pieces of art are not a major element for some, but for me, they can change everything. I can’t even tell you how many comics I’ve picked up simply because of the cover. Many things could sell a comic, but few would draw me in better than a great cover. This was the case before my sabbatical, and even now in our era of information overload. And on one of my maiden voyages to the shop upon deciding I’d pick up comics again – I’d been buying trades before then, for the most part – I came across Batman/The Spirit on the stand. As someone who liked but wasn’t reading Batman comics and had never read any of The Spirit’s comics before, I had no real reason to pick this book up. Having just returned, I was more interested in characters, not the people bringing them to life. But there was something about the cover that pulled at me. 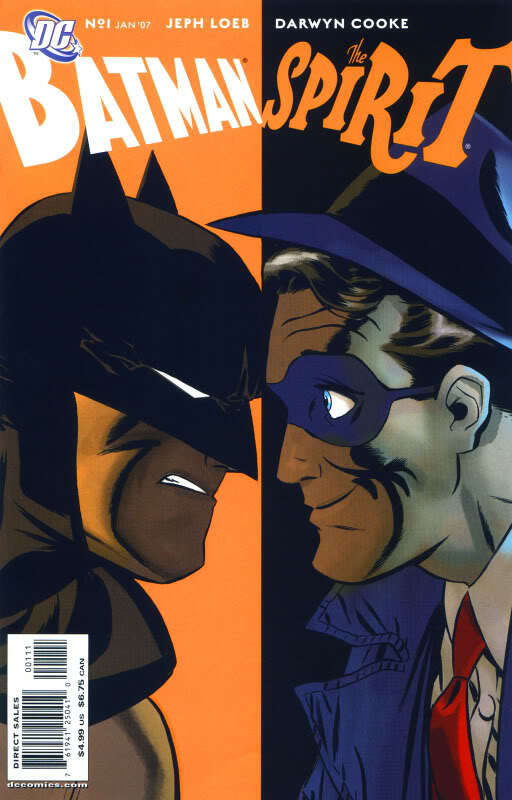 The pairing of Batman’s grimace and the Spirit’s smile while the latter’s hat popped up had a palpable charm to it. I had to know more. So I picked it up, flipped the book open and was blown away. Who was this Darwyn Cooke guy? And how had I never heard of him before? It had to come home with me, and come home it did. That was the first time I ever bought a Darwyn Cooke comic. It was also the last time a Darwyn Cooke comic was released without it being one of the most anticipated parts of my Wednesday. The creators I buy everything from – regardless of title, story, character or anything – is a pretty limited list. Cooke’s books made it home with me each and every time though, no matter if you were talking his tremendous work on The Spirit series that followed, the random Jonah Hex stories he worked on, or the Before Watchmen mini-series that even that endeavor’s harshest critics struggled to poke too many holes in. I didn’t just look forward, though. I devoured his older work on Catwoman with Ed Brubaker, adored his solo story with the character in Selina’s Big Score and loved his X-Statix work with Peter Milligan. It didn’t matter what the guy did. There was just something about his work that spoke to me in a way that was hard to express. It was like he made comics in just the way my brain wanted them, especially when he was writing and drawing. There was something primal to it, like the way I react to down home biscuits and gravy or how I can’t help but sing along to Queen and David Bowie’s Under Pressure: I just need it. His cartooning spoke to me in a way few others ever could. 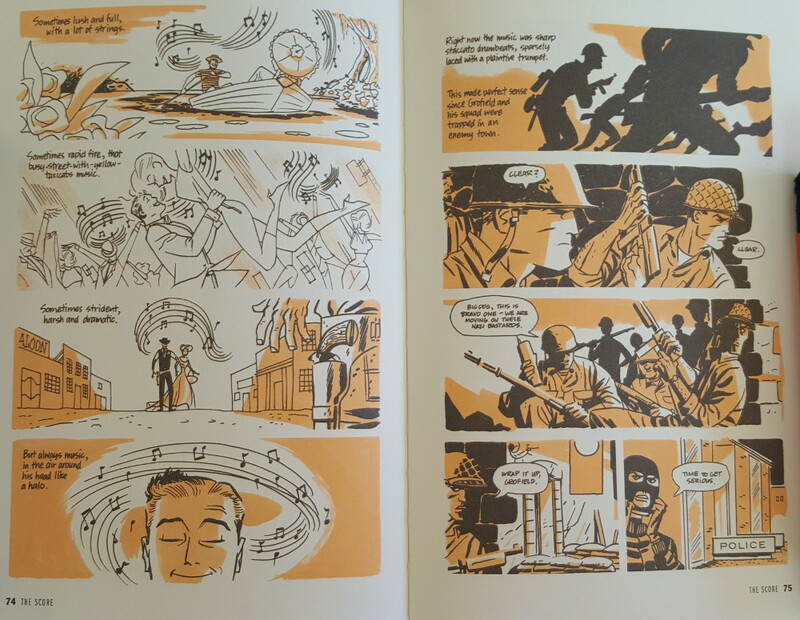 To me, reading a Darwyn Cooke comic was to experience comics in their purest, most essential form. No works of his showcased that better than two highly disparate titles: his lovely, hopeful, joyous look at the world of Superman, Batman, Wonder Woman and more in DC: The New Frontier, and his brutal, calculating and engrossing adaptations of Donald Westlake’s Parker series. While these two stories and worlds couldn’t be more different if they tried, they both showcased what Cooke was better at than damn near anyone: finding the center – the nougat in the middle – of any idea. To me, these two works are so brilliant because Cooke was able to take two beloved, famous worlds of fiction – the DC universe and stories of Parker – and distill everything that makes readers love them into something familiar yet original, and oh so fantastic. He extracted everything wonderful about them and then realized them in a way that showcased everything magical about the comic book art form. That magic comes from the marriage of writing and art, which sounds obvious, but it’s true. And one of the advantages Cooke had was his writer and his artist were the same guy: himself. That allowed him the opportunity to control almost every aspect of the works himself and to let his storytelling instincts take the lead, which was a good thing. The way Cooke would tell stories in comics was like seeing Ken Griffey, Jr. play baseball or Muhammad Ali in the ring: it just felt natural. That’s not to say his work was effortless – by all accounts, he was a hell of a craftsman who worked hard and put in incredible time to realize these stories the right way – but the way it came out on the page to this reader was like everything just belonged there. 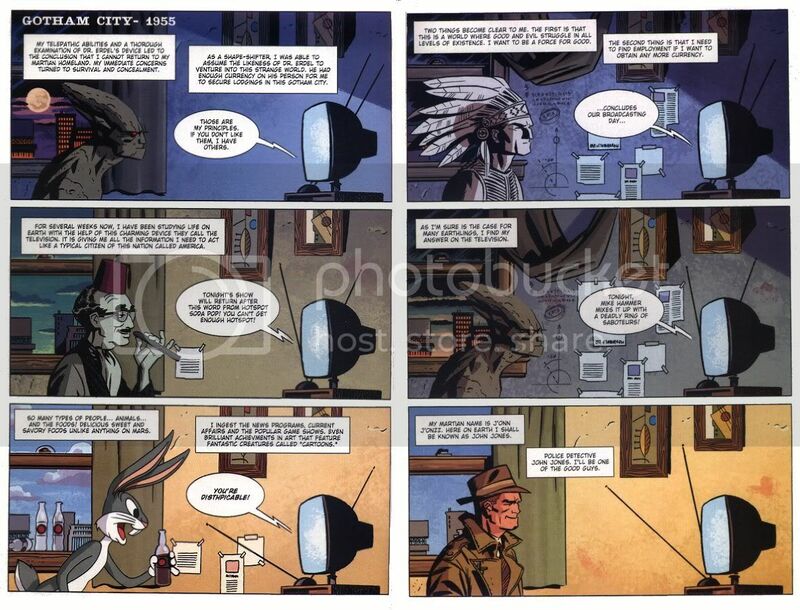 He knew when to let the art do the talking – the Parker series in particular had long stretches with no dialogue without a lapse in our understanding of the story – and when to challenge readers in the right way. He found simple solutions to complex scenarios, like when he not only made us understand but love Martian Manhunter in two pages of The New Frontier, and brought characters to life in ways few others could. He recognized the joy that came part and parcel with being wondrous superhumans built for doing good, and it didn’t just come across in the art and words: his New Frontier work practically exuded the inherent goodness of heroes. The last point was particularly meaningful to me, as the smiles on his heroes faces were refreshing, especially when mirrored against how grim and gritty DC’s heroes often can be. Conversely, the pragmatic, savant like criminal ways of Parker were realized in lean, mean fashion, with Cooke’s delivery matching the story’s protagonist. Cooke was a consummate storyteller, and few in the comic book medium found better, more fitting ways to bring a yarn to life than him. Telling a story well is a hard task to take on. Not everyone is built for it, and certainly not in every medium across any genre. 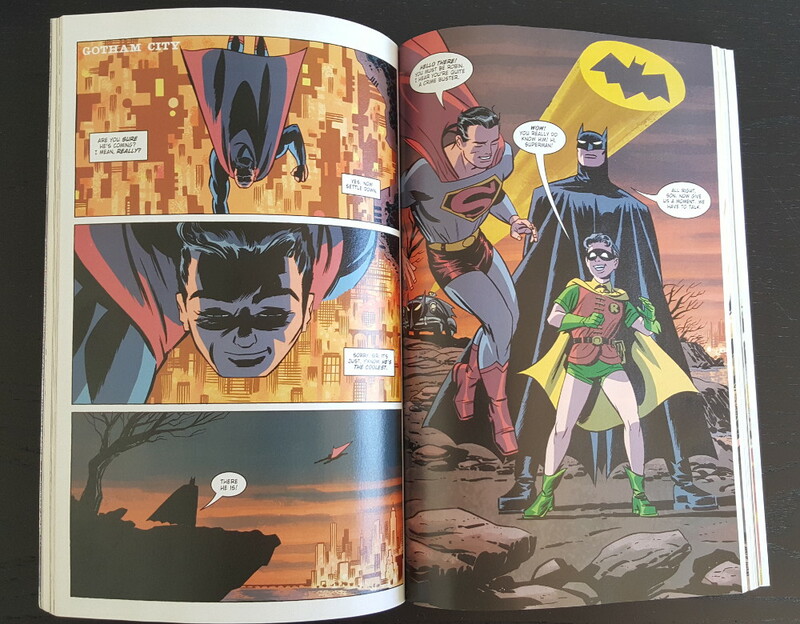 While there were types he excelled at, Darwyn Cooke was the kind of storyteller that could handle anything, if only because he had the rare ability to understand what was at the heart of the works he was bringing to life. That’s why his variant cover month at DC Comics in December 2014 spoke to people as much as it did and transcended what we normally get from these efforts. Somehow this cartoonist – this brilliant cartoonist – found a way to showcase what makes so many love these characters in a singular image. It was uncanny. 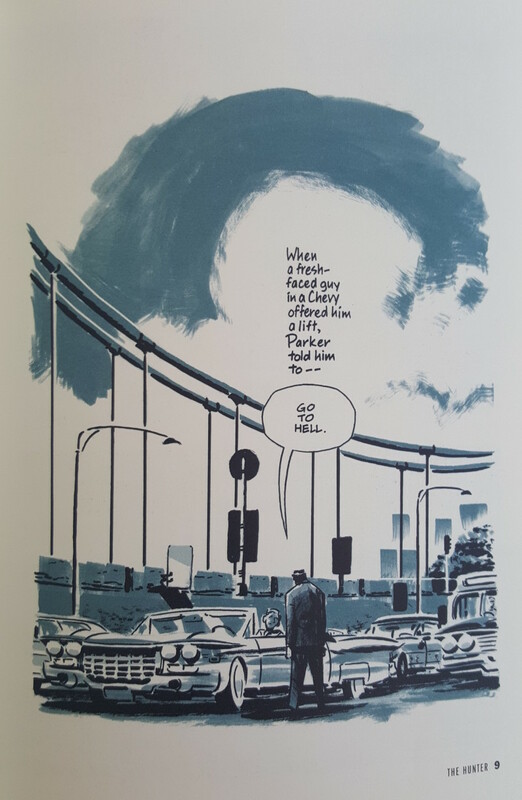 Darwyn Cooke passed away this past weekend, and it was a heartbreaking thing. We’ve lost many of our favorite artists this year already, and all felt far too early. Any time that happens, it’s sad for their fans, those moved or inspired by their work, and most importantly, the people that knew them. I can’t say I knew Cooke. I don’t have any anecdotes of our times together, save for the hours and hours spent reading his comics, flipping through them while being engrossed by every panel and smiling as I marveled at the story he was bringing to life. But that time mattered a great deal to me, as everything he created is a living example of what comics are capable of, and why I loved them to begin with. I’m looking forward to revisiting them any time I need a reminder. Thanks for everything, Mr. Cooke. If you’re new to the world of Darwyn Cooke’s comics, I recommend picking his comics up at your local comic book shop, on ComiXology or online retailers. Looking to make a tribute in honor of his legacy? Support the Canadian Cancer Society or the Hero Initiative.